Look no further for low impact, results achieving, and a super fun way to exercise! Water exercise is one of the most therapeutic forms of physical fitness. Jump in – the water feels great! Nothing competes with the classic aqua aerobics workout! 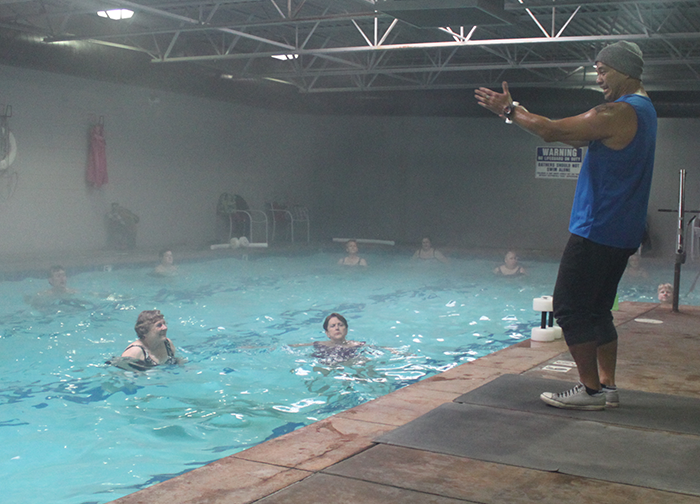 Join in with this fun and dedicated group as you increase range of motion while increasing your heart rate and strengthening your muscles all within the low impact environment that the pool offers. *Swim suit required. Aqua and the dance floor collide! Come splish, splash to your favorite tunes as you reap the benefits of the low impact, heart-pumping, strength-gaining aqua moves. *Swim suit required. Blending the Zumba® philosophy with water resistance, for one pool party you shouldn’t miss! *Swim suit required.